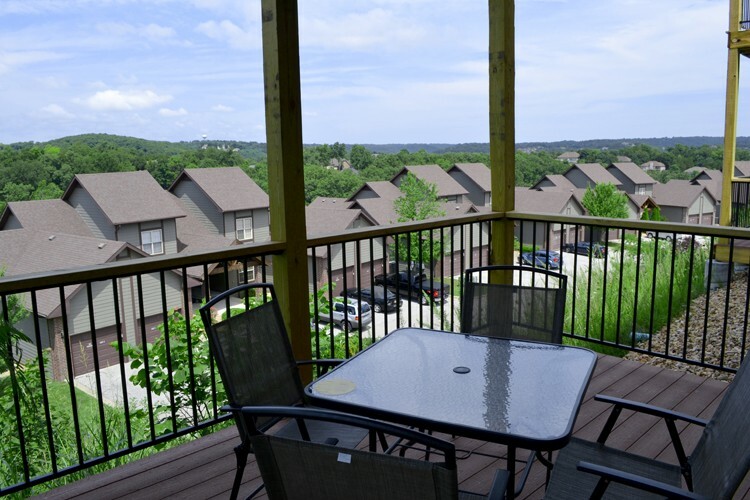 One of the few condos of its size in Branson, this 6 bedroom condo at Stonebridge can accommodate up to 20 people! 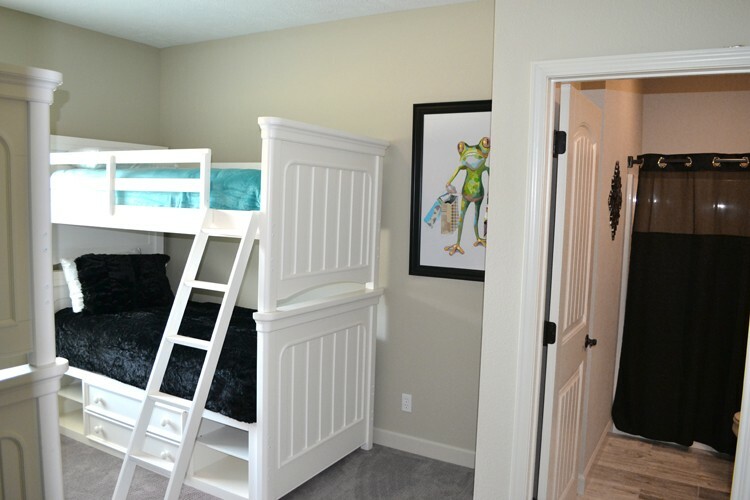 2 Sets of Bunk Beds! 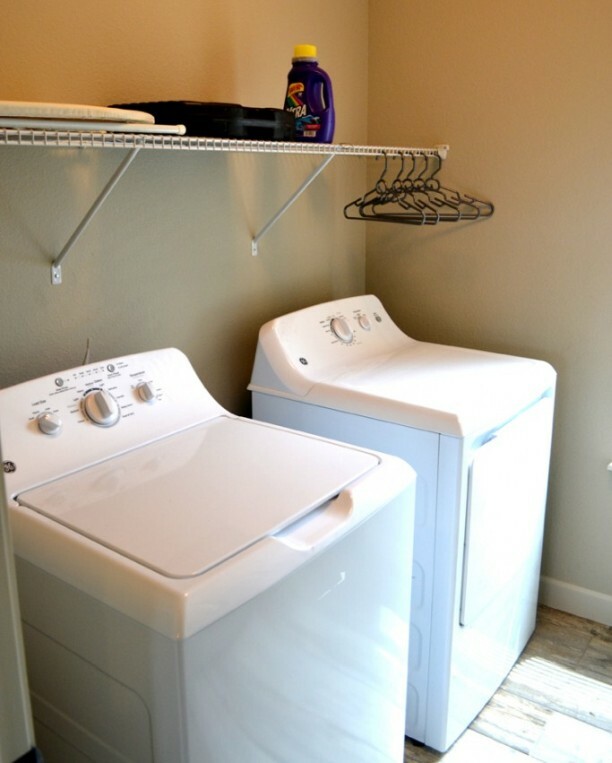 2 Washer & Dryer Sets! 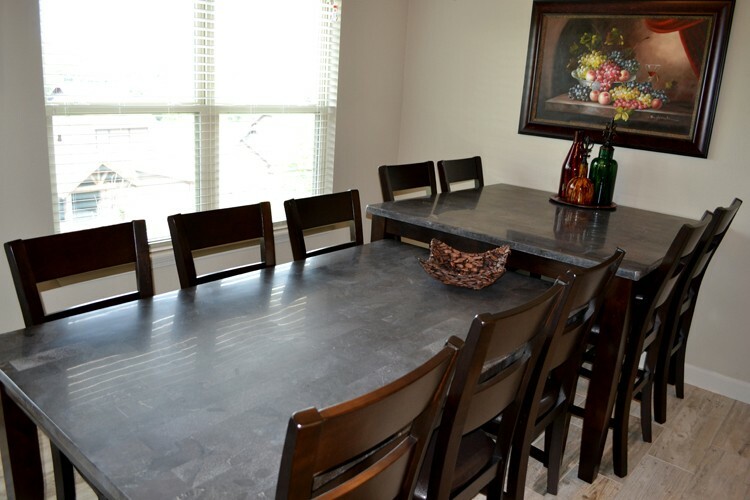 Booking tip: Stonebridge – 6 Bedroom Condo is very popular, advance reservations are recommended! 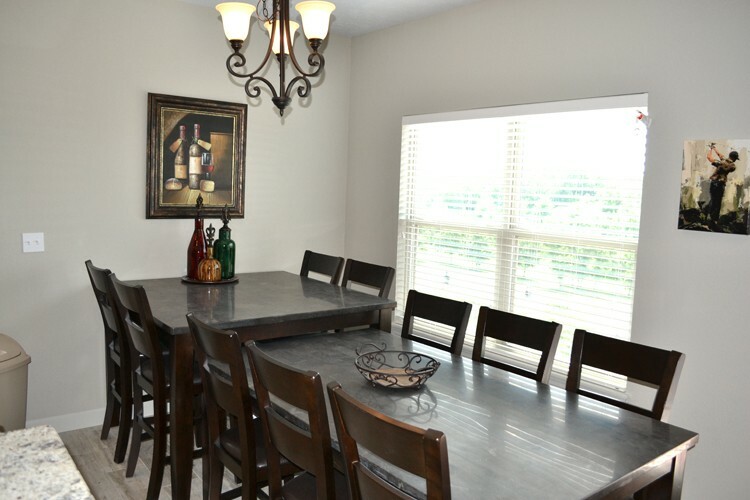 Large and Spacious 6 Bedroom Condo! 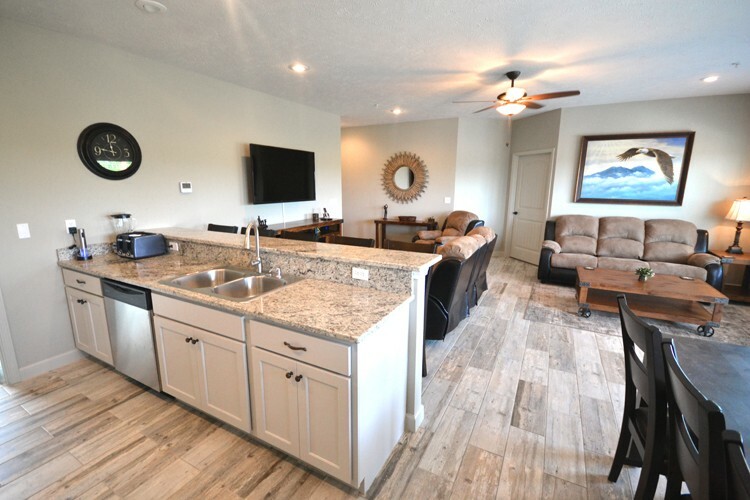 Providing ample space and room for larger groups of travelers, this modern and upscale 6 bedroom condo at Stonebridge Resort in Branson is the perfect place to call home for your next getaway! 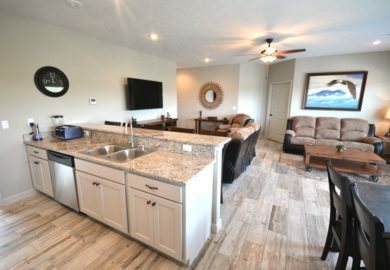 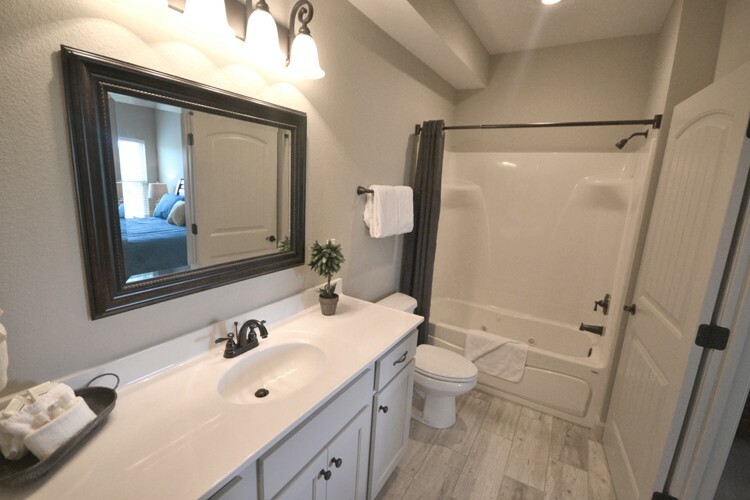 As one of the largest condos in the Branson area, it gives you plenty of room for everyone to spend time together – while providing enough space for privacy when you need or want it. 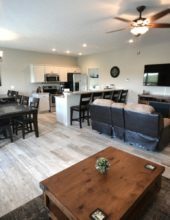 Flexible Floor Plan Sleeps up to 20 People! 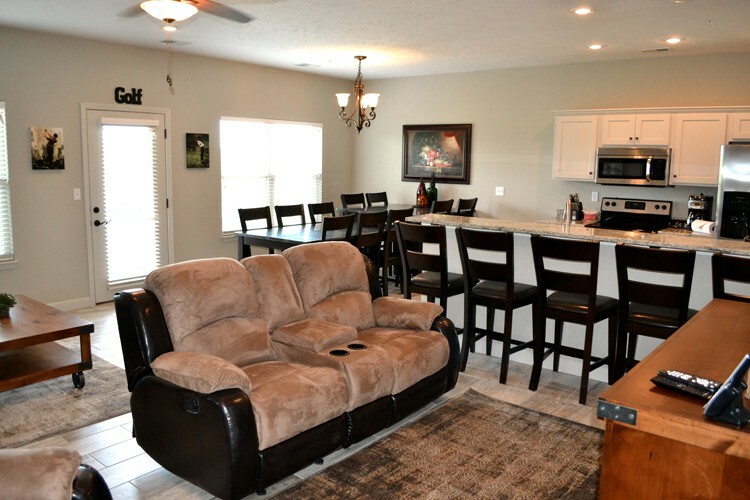 Two three-bedroom condos are combined to make this spacious 6-bedroom vacation rental. 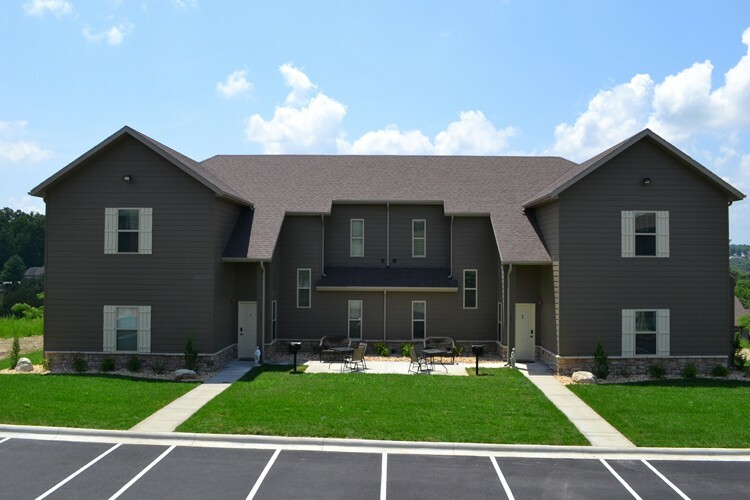 One full, 3-bedroom condo and and additional 3-bedroom upper unit come together to create the larger unit. 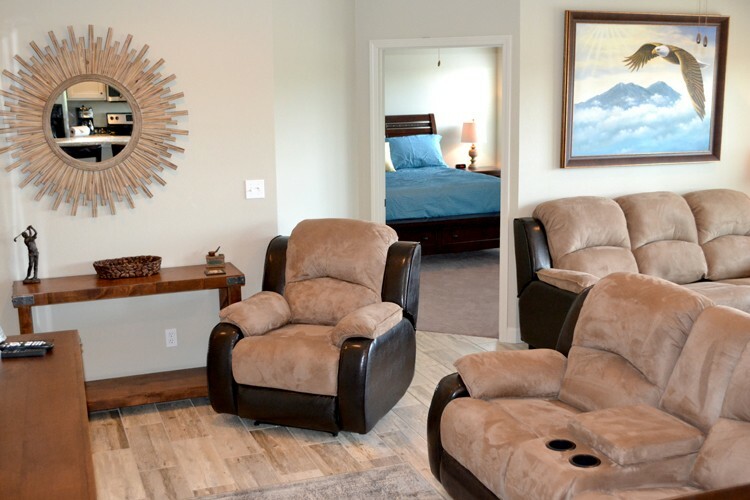 Inside you’ll find anything and everything you could want for an unforgettable vacation! 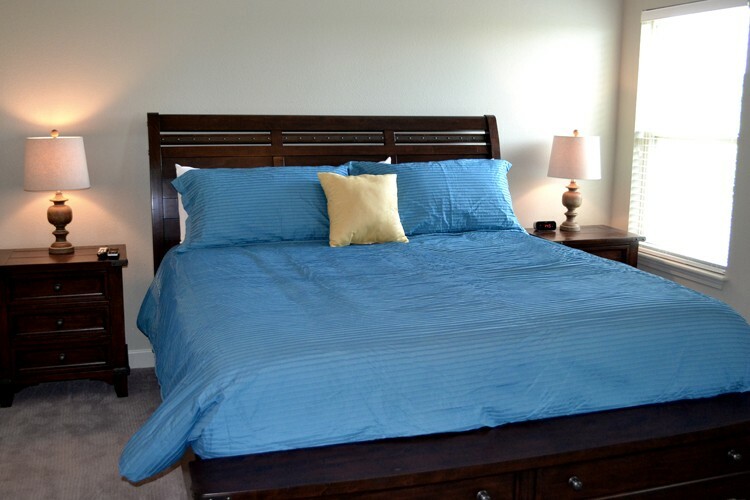 The flexible sleeping arrangements ensure that nearly any type of group traveling together can be easily accommodated. 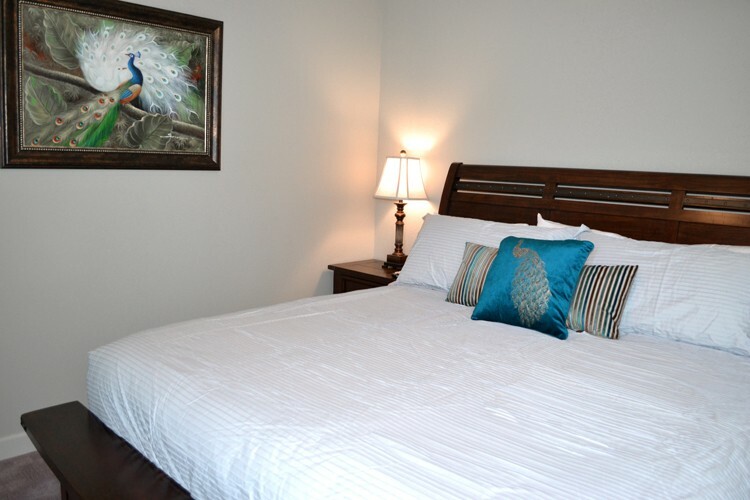 The unit features 2 master suites (each with their own kind bed), two bedrooms each with a king bed, and two bedrooms that each have a set of bunk beds (4 twin beds total). 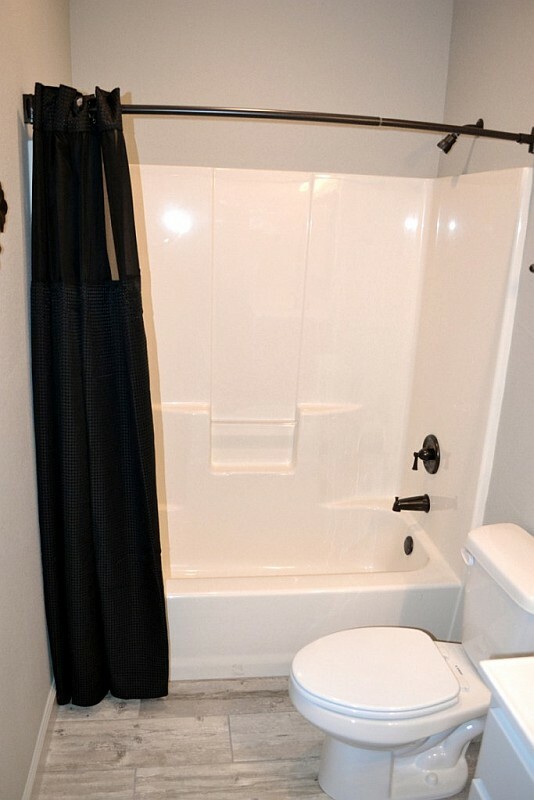 The lower level condo features 2 bathrooms and 3 bedrooms, while the upper-level condo features 3 bedrooms and 3 bathrooms. 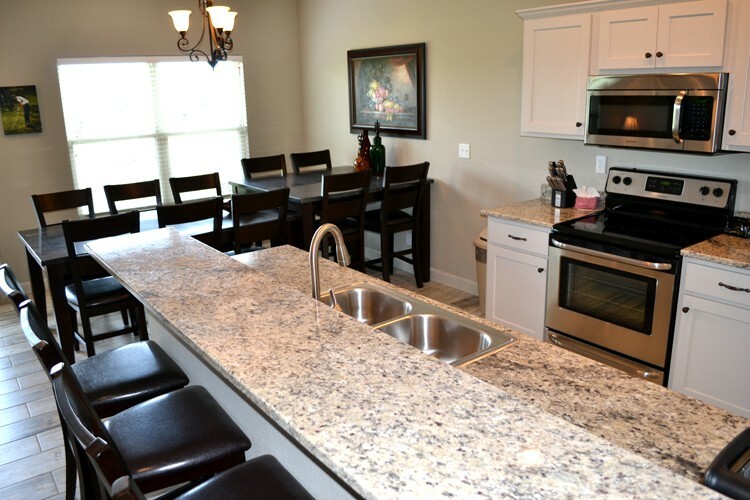 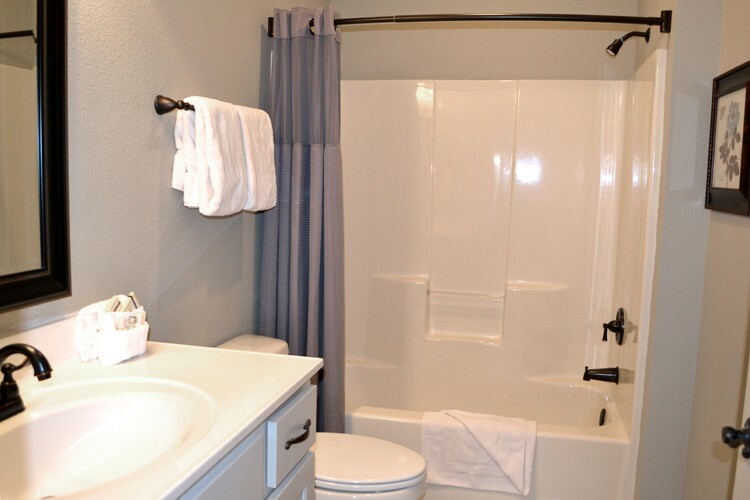 Features and Amenities for Complete Comfort! 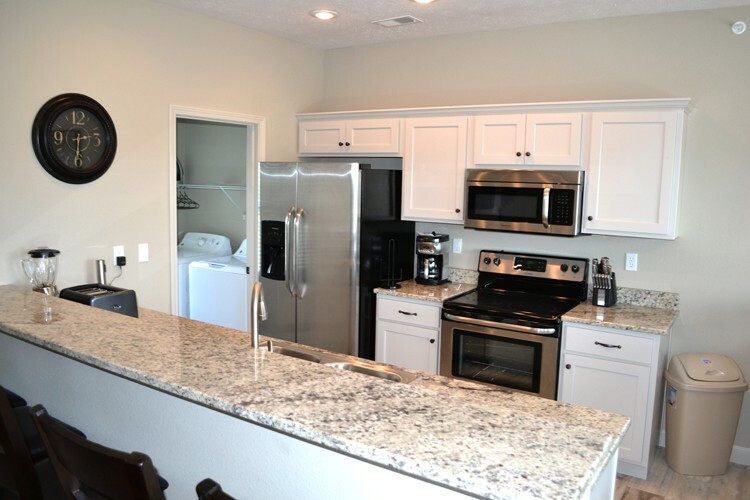 The unit has two full-equipped kitchens, two dining areas, two living rooms, two sets of washers and dryers, as well as two patio/deck areas. 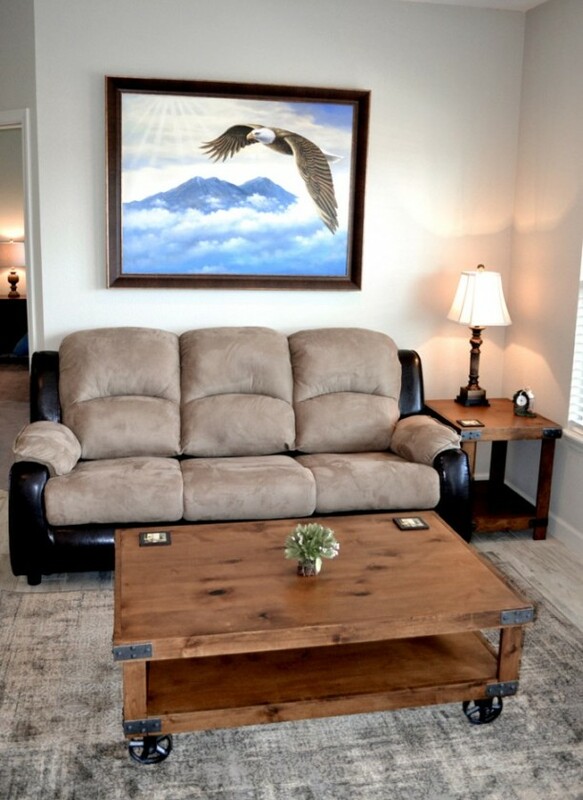 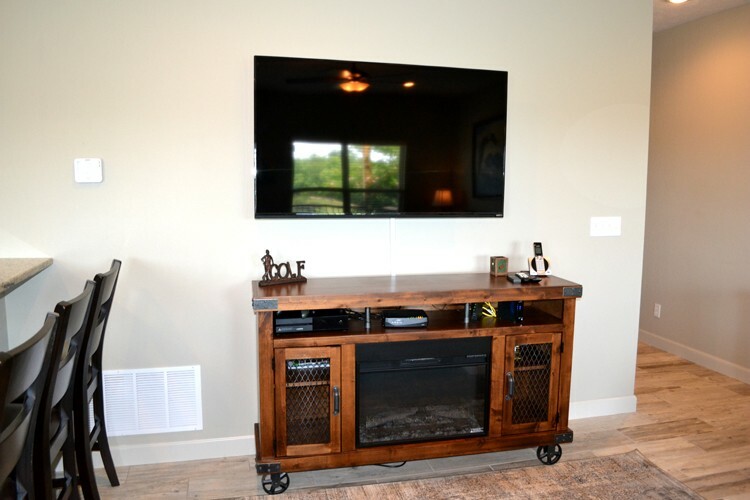 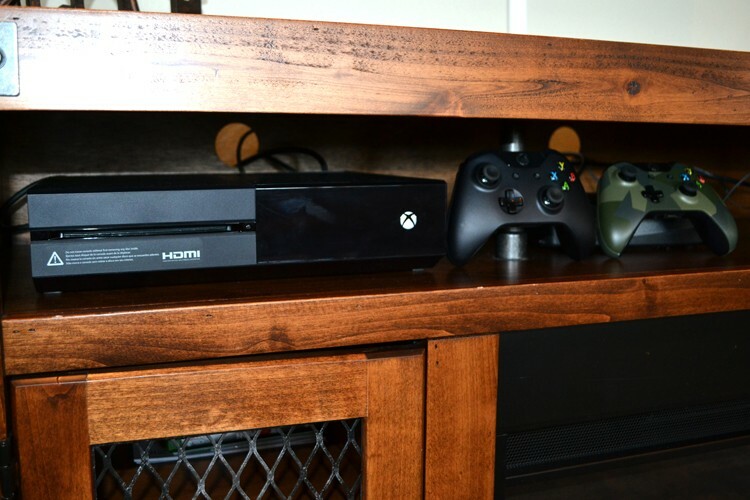 Modern technology touches include flat-screen TVs, Blu Ray DVD players, and Wi-Fi to ensure you can stay connected. 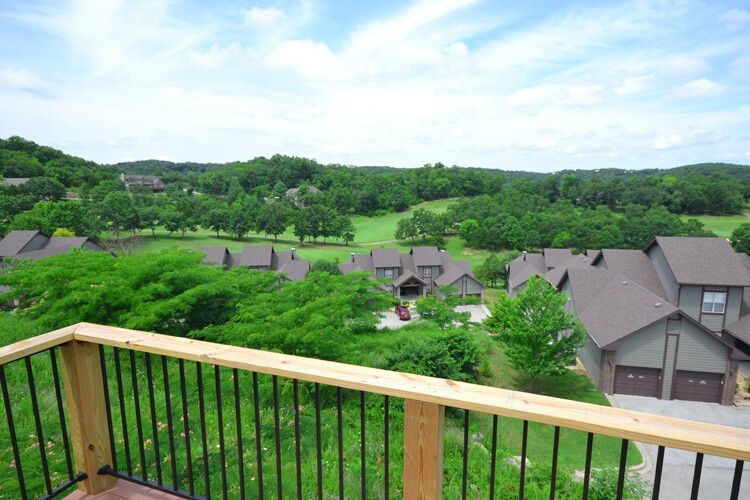 Tucked agains the beautiful Ozark Mountains, this condo at Stonebridge Resort puts you close to all of the things to see and do in Branson – yet tucked away for privacy and seclusion. 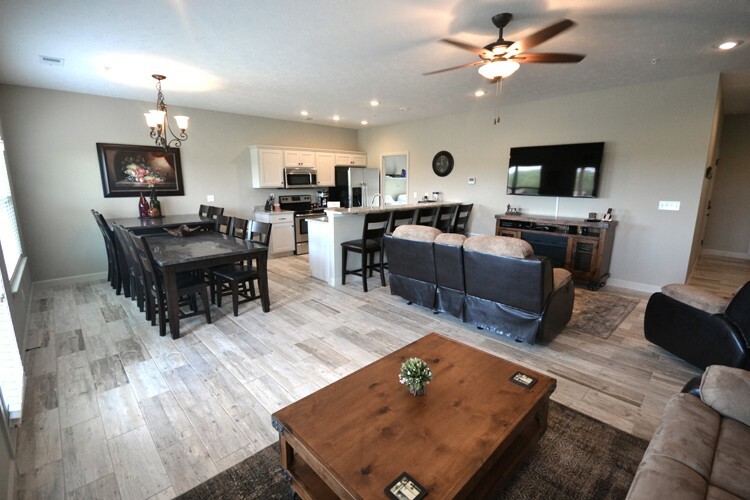 The main Highway 76 “Strip” is just a short 5-10 minute drive from your doorstep, while the area’s two popular lakes (Table Rock and Taneycomo) are just about 10 minutes away. 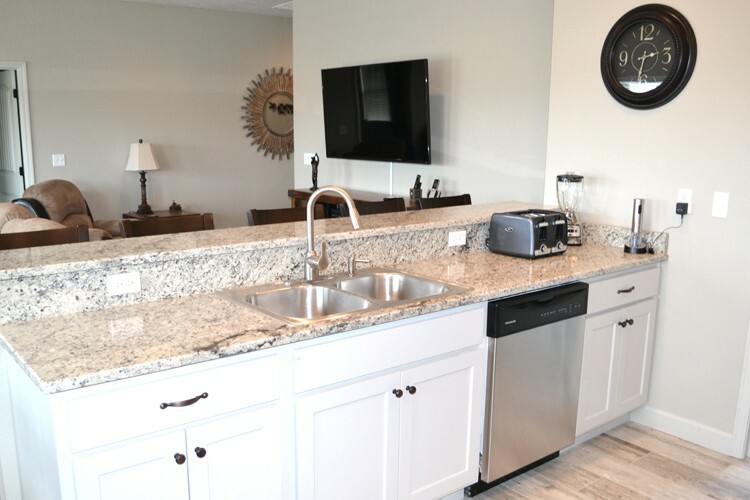 Combining the very best in features, amenities, location, and value – the 6 bedroom Stonebridge condo brings the best of Branson to you!